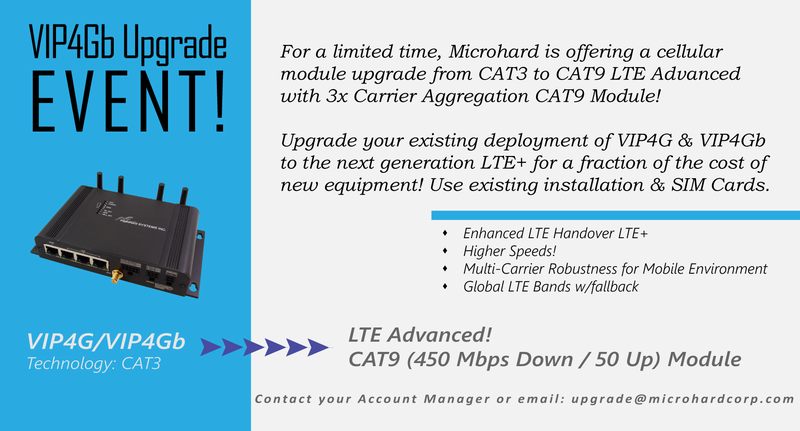 For a limited time, Microhard is offering a cellular module upgrade from a CAT3 module to a CAT9 LTE Advanced with 3x Carrier Aggregation CAT9 Module! 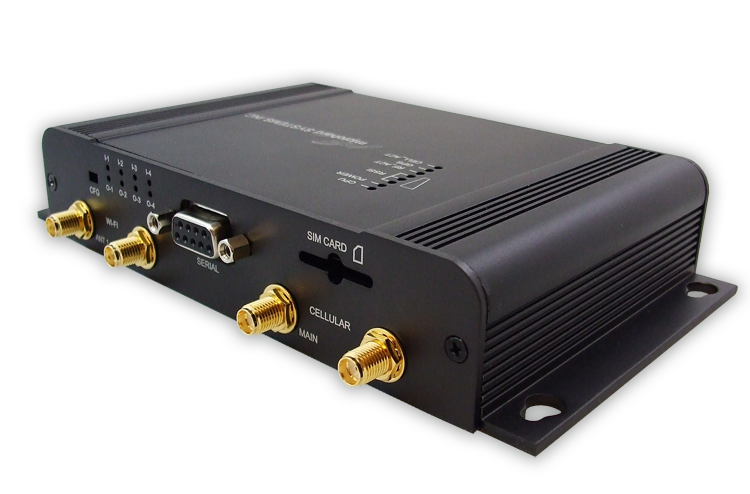 Upgrade your existing deployment of VIP4G & VIP4Gb to the next generation LTE Advanced for a fraction of the cost of new equipment! 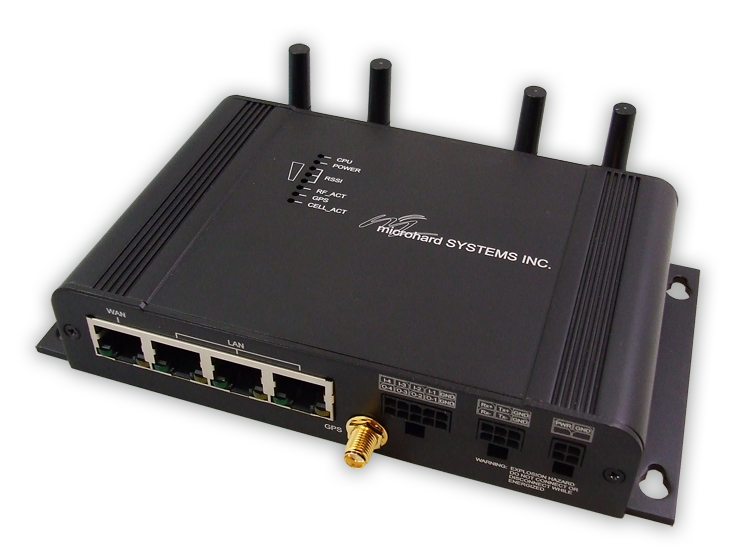 Use your existing installation, wiring, accessories & SIM Cards.